In a clear Plexiglas laboratory cage, a mouse sleeps. A thin fiber optic cable projects upward from the top of its head and out through the cage’s lid. The cable lights with a pulse of blue light. The mouse continues to sleep; the light continues to pulse. After a few more pulses, the mouse wakes up. It rubs its face, stretches its legs and runs over to its food cup and begins to eat voraciously, as though it were starving. It keeps eating as the blue light pulses. The optical fiber that carries the blue light goes directly into the mouse’s brain. It targets a specific group of brain cells that have been modified to react to light. The experiment uses a technique called optogenetics, developed seven years ago, which can selectively activate or silence groups of nerve cells, or neurons, in real time. And it allows scientists to interact with the brain and begin to map how it works with a degree of detail that was previously unimaginable. That’s what Scott Sternson has done with the apparently starving mouse at Janelia Farm in Ashburn, Va., an interdisciplinary biomedical research center that is part of the Howard Hughes Medical Institute. In fact, this mouse was well fed and should not have been hungry. Sternson’s research group targeted a type of cell called the agouti-related peptide (AGRP) neuron. AGRP cells live in the hypothalamus and have been linked to feeding behavior in other studies. The scientists used a virus to insert the DNA of a light-sensitive protein from green algae, channelrhodopsin-2, into the AGRP neurons. Some of the AGRP neurons take up the DNA and begin to produce the protein and send it to the cell membrane. When the blue light is flashed into the mouse’s brain via the optical fiber, the protein causes the neurons to move ions across the cell membrane, effectively stimulating them to fire an electrical signal, the action potential, which neurons use to communicate with each other. Sternson found that the more AGRP neurons are stimulated, the more the mouse eats. And as soon as the light stops, so does the feeding. “It’s unexpected that a single neuron population has the capacity to orchestrate such a complex behavior,” says Sternson. The lab also looked at a related neuron group, the POMC neurons, which, when stimulated, caused the mouse to eat less, losing 7 percent of its body weight in 24 hours. “The next step for us is to map the connectivity between those two neuron populations. We can look at the target regions, where the neurons in these groups connect to, and use the same technique to evaluate the contributions of specific cell populations to this behavioral effect. We are essentially reverse engineering the brain to understand how it controls hunger.” They recently published the results of this study in Nature Neuroscience. Optogenetics was born at Stanford University in 2004, when postdoc Karl Deisseroth and doctoral student Ed Boyden conducted the first experiment to show that the protein channelrhodopsin-2 (ChR2) could be used to stimulate neurons. Deisseroth and Boyden happened upon this solution after several years of collaboration in the quest to develop a new tool for understanding the workings of the brain. They had considered various ideas, including using magnetic beads to control neurons, but light-sensitive proteins called opsins held a certain appeal. Opsins had been studied since the 1970s, but in 2003, Georg Nagel and colleagues published research about ChR2 that suggested particular promise for manipulating mammalian cells. In 2005, Boyden and Deisseroth published a paper on their findings in Nature Neuroscience. “We instantly realized that for something of this broad application, it makes sense to give it to as many people as possible, because one cannot possibly do all the different experiments on one’s own,” says Boyden, now at the Massachusetts Institute of Technology Media Lab. 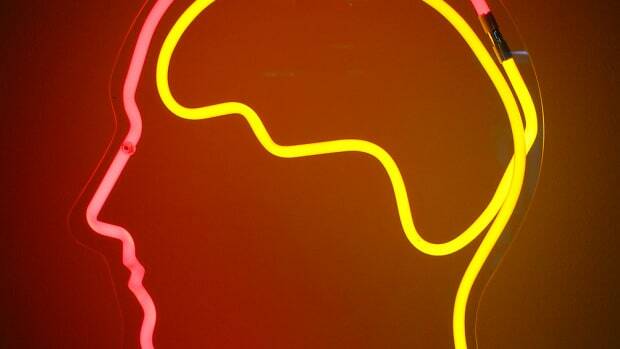 Since that first experiment, many research groups have used optogenetics to study the brain. Boyden, Deisseroth and others continue to test new light-sensitive proteins that possess different characteristics than ChR2. Halorhodopsin, for example, silences neurons in response to yellow light. And Boyden’s group published research last year on multicolor silencing — using two kinds of molecules to turn off two different populations of neurons. Sternson’s group is interested in studying behavior and feeding, but other researchers are investigating different behaviors. 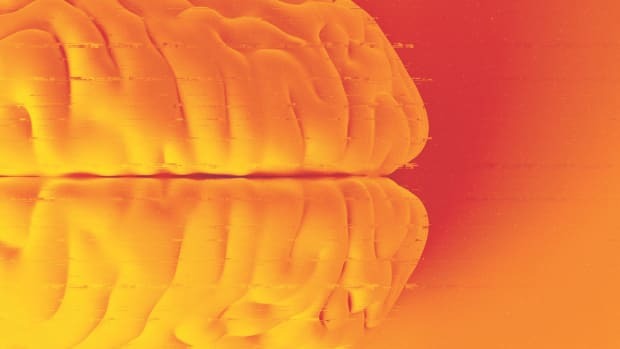 Deisseroth’s research team — he’s now a professor of psychiatry and bioengineering at Stanford — has isolated a specific cell type responsible for Parkinson’s symptoms in a rodent model; this might lead to more precisely targeted brain stimulation to treat Parkinson’s patients. They also reversed symptoms of anxiety in mice by stimulating a set of neurons in the amygdala. Christopher Moore and colleagues at MIT have identified a circuit that controls gamma oscillations in the brain, which are connected with a state of focused attention. Optogenetics is being used to study the bases of perception, fear, aggression, reward, and even to regenerate vision. “We’ve taken mice that have lost their photoreceptors and enabled them to see again,” says Boyden, by using opsins to photosensitize cells in the retina that were previously not light-responsive — essentially creating a new camera for the eye. And although most experiments are still being conducted in mice, the techniques have also been shown to work in rhesus macaques. As experiments in mapping brain circuits continue to advance, what’s the next step? Scientists envision a future where this information can lead to more specific, targeted treatments for neurological disorders. Instead of bathing the brain in a psychotropic chemical that might have unintended side effects, imagine being able to target the very population of neurons responsible for the disorder, to essentially “fix” the broken neural circuit. This might be done pharmacologically, with electrical stimulation or with light itself. Of course, such developments are years away, but the possibilities are energizing scientists all over the globe.